This was such good fun and pure escapism; nobody would be quite as forgiving in real life but that's why it's called fiction. Angel and Seb is such a good story; the honey trap throws them together but perhaps fate had a little helping hand. Angel is a journalist who accepts an assignment to entrap married film director Seb Winchester into a compromising position. Angel happens to 'bump' into Seb at a hotel bar and they immediately feel the fizz of chemistry between them. One thing leads to another and they end up in Angel's hotel room which is conveniently set up with hidden cameras. After she got the 'money shot', Angel didn't plan to go all the way with Seb but she got carried away in the moment and really felt something for him. Cue the heartbreak as the photos of their night of passion make the front page of the sleazy red top and Seb realises that he has been set up by Angel. It's so frustrating that Angel has finally met the man of her dreams but, apart from him being married, he wants nothing to do with her for setting him up. As the pair kept bumping into each other you could feel the crackle of sexual tension through the pages and I even forgave Angel for setting Seb up in the first place. Just one thing to sort out though - he's married to the star of his films but are they truly happy? 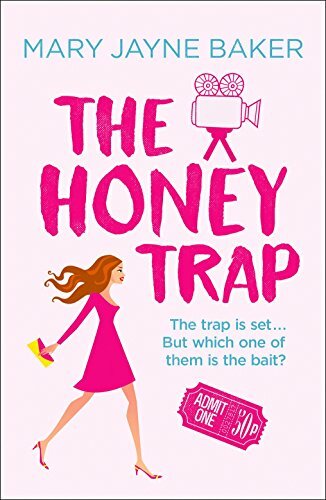 I really enjoyed reading The Honey Trap, although it was sometimes a wee bit too mushy for me with all of the 'I love You's'. 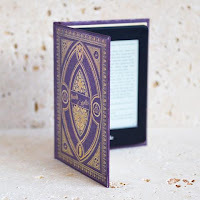 It's great fun and perfect for reading in the sun or curled up on the sofa with a hot chocolate - although there are some steamy scenes so don't wrap up too warm!